When parents tour Resurrection in search of a school for their children they often ask, “What makes Resurrection different from other schools?” While we feel that we have many strengths such as our students’ academic success, faith and leadership opportunities, extracurricular activities and indoor and outdoor facilities, the one thing that stands out as our key strength is our community. Families, staff and visitors remind us of this blessing time and time again. Nothing demonstrates the sense of community more than the pride of alumni who return to Resurrection, bringing their children as students so they can have the experiences of a Resurrection education. Likewise when former students return to Resurrection as teachers, the message of community is powerful. Alumni parents and teachers note a few changes since they attended in the 70’s, 80’s and 90’s. There are a few extra buildings, lockers are now used by upper grade students, school colors have changed and no longer do students wear ties three days a week. There were no Junior High dances with other local Catholic high schools like we have today. And how do their children feel about attending the same school as their parents? Laura says, “They are proud!” and Deanna’s children often joke with her about the “olden times” at Res and they enjoy taking her to the library to remind her that her 8th Grade picture is hanging in there. Alumni don’t always return as parents either – sometime they return as teachers! 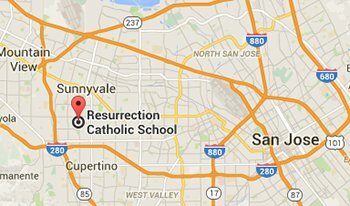 Currently we have two alumnae who are teaching at Resurrection. 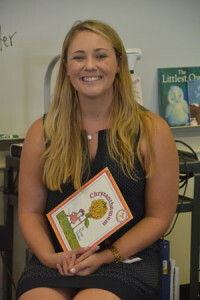 Miss Jennifer Billiet is our 2nd Grade teacher and Mrs. Claudia Rodriquez Hall teaches 3rd Grade. 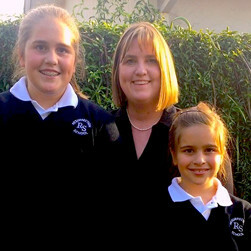 Not only is Mrs. Hall a returning alumna, her two children are also Resurrection students.